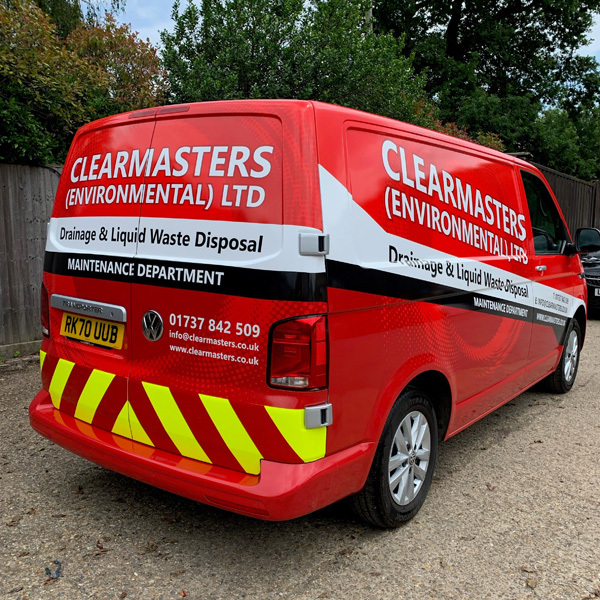 At Clearmasters Environmental Ltd we are receiving an increasing number of calls to carry out the emptying of liquid waste holding tanks. These tanks otherwise known as effluent holding tanks are an excellent temporary storage system for all your sewage effluent. These systems work in much the same way as an old-fashioned cesspit does and requires emptying once full. 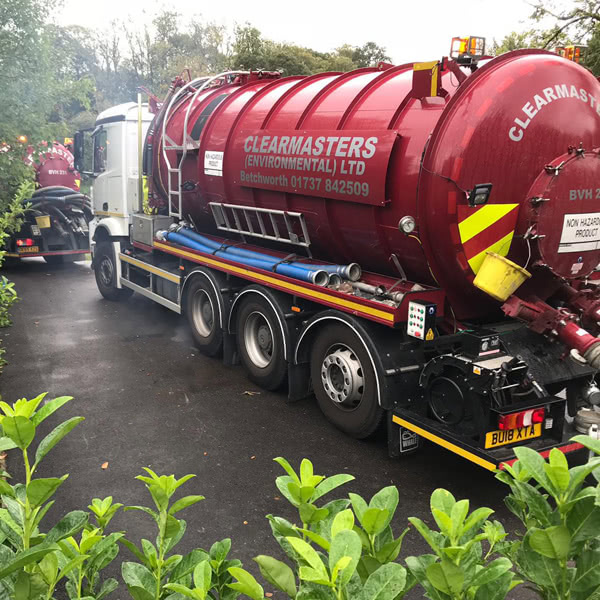 We liaise with our clients and work out a schedule often weekly or fortnightly to empty the waste holding tank at their site. This allows our clients to know exactly which day and time we are going to be attending for ease of planning. 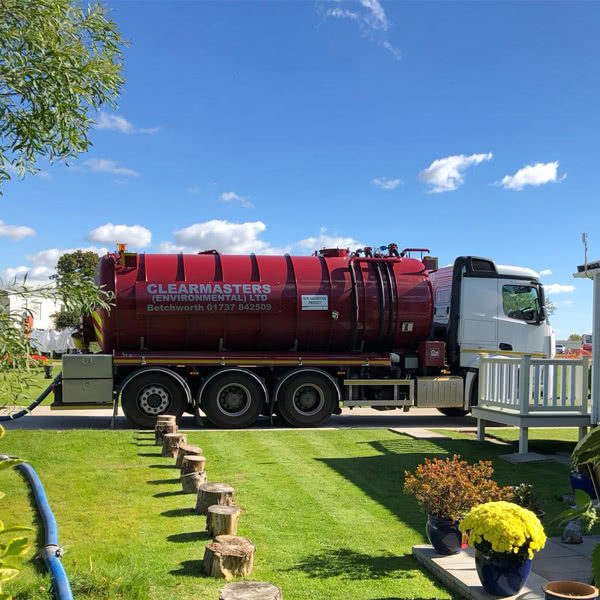 The waste holding tanks are most commonly used alongside toilet block facilities on building sites or underneath small cabin offices with facilities such as toilets, kitchens and washing machines. 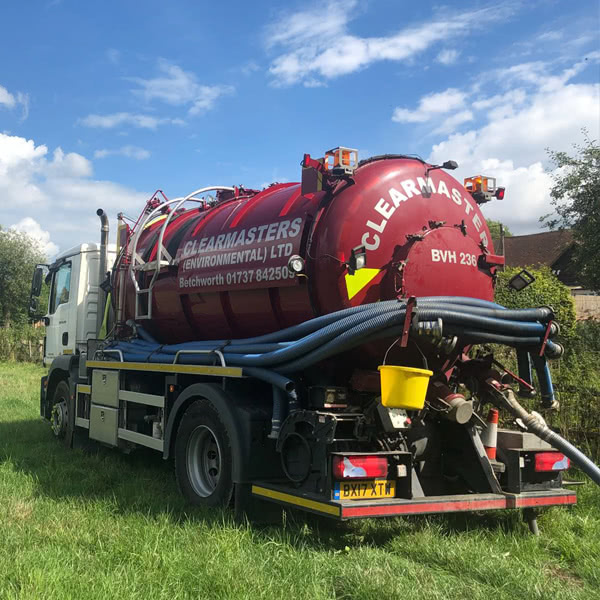 Just like normal domestic sewage tanks, they are normally required when no connection to mains drainage is available as a way of storing the waste until a pump out is required. 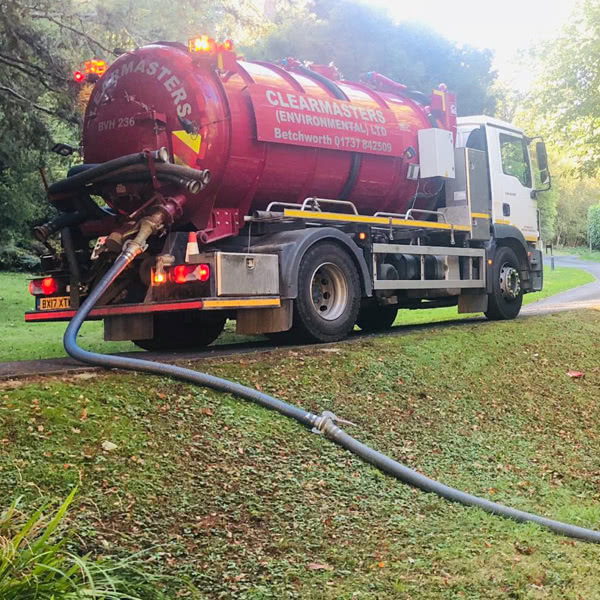 Whilst on site, our team of dedicated, friendly and fully trained engineers will utilise our modern fleet of vacuum tankers to ensure that your emptying is carried out to the highest standard with minimal disruption. 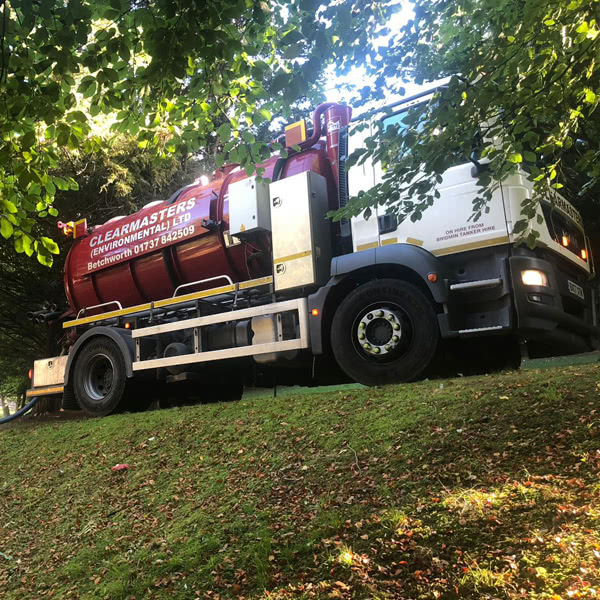 Our engineers are both keen and fully qualified to spend time answering any questions you may have regarding your sewage system. 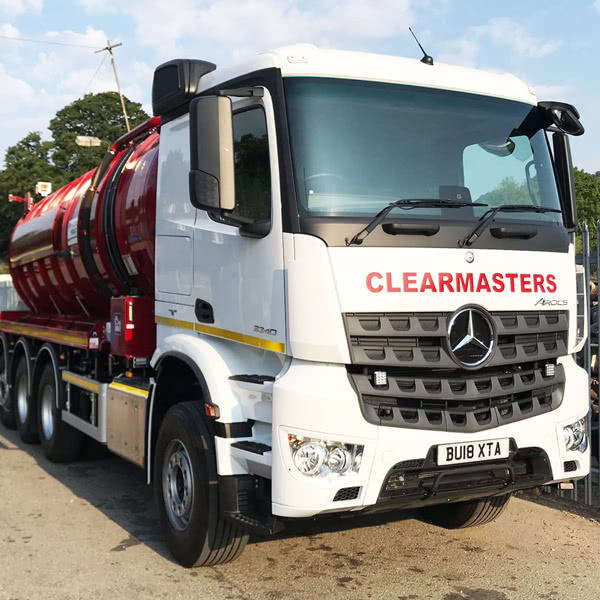 Why choose Clearmasters Environmental Ltd for your Liquid Waste Holding Tank Emptying? 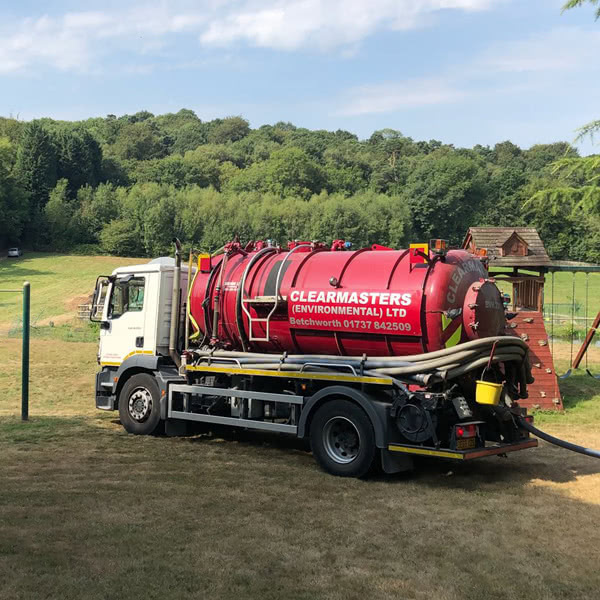 With many years of experience in the industry, we have built an extensive list of clients that return time after time to receive the excellent level of service we provide. 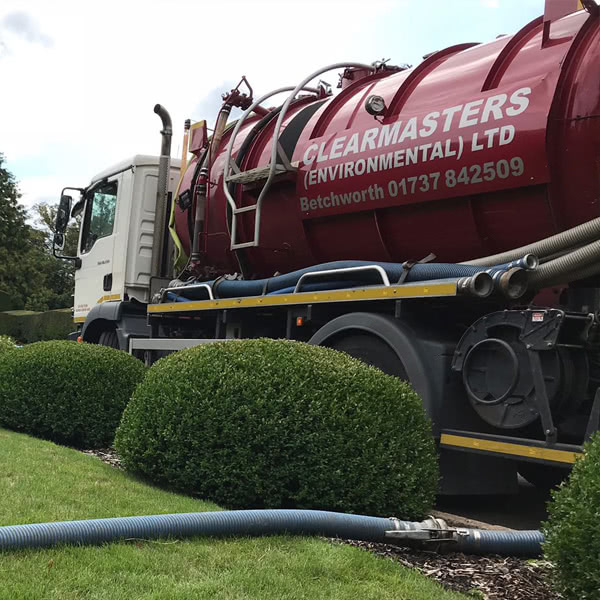 For a free, no obligation quote for your liquid waste holding tank emptying, please call us on 01737 842509.